Do your kids love Harry Potter? Do they always beg you to watch a Harry Potter movie, make Butterbeer at home, or just look at Harry Potter memes? If you do, you may want to plan a trip to visit the Wizarding World of Harry Potter. This amazing attraction is located in both California and Florida. 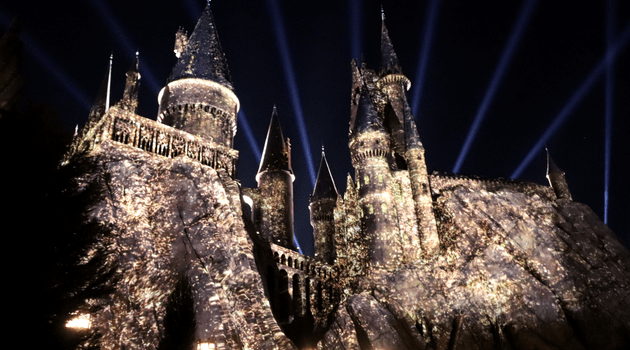 The Florida location in Orlando is the best Wizarding World of Harry Potter, with both Hogsmeade and Diagon Alley. 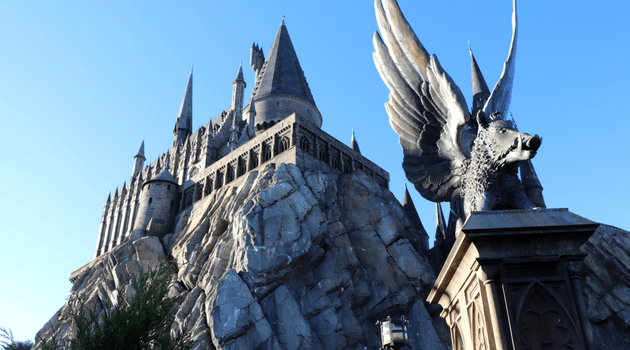 We wanted to share some of our favorite Wizarding World of Harry Potter pics to inspire you to visit. One of our favorite spots in Wizarding World of Harry Potter is Hogwarts Castle in Hogsmeade. You can enjoy the nighttime show on the castle (during select dates), Harry Potter and the Forbidden Journey ride inside the castle, and just awe at the attention to detail outside. It is amazing and a great spot to get those Wizarding World of Harry Potter pics. 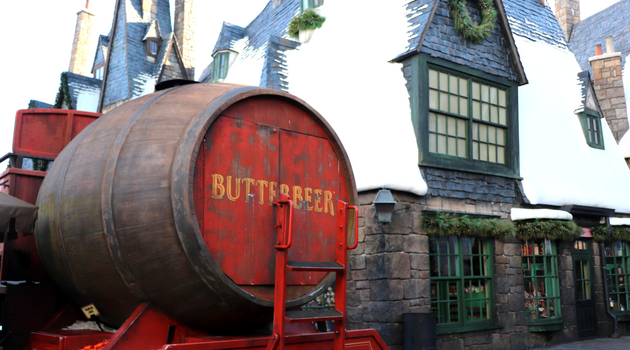 When visiting Wizarding World of Harry Potter, you must stop to get a Butterbeer. This is one of the tastiest treats and will bring you right back to those Harry Potter books and movies. You have to get this classic pic! The Butterbeer mustache pic! 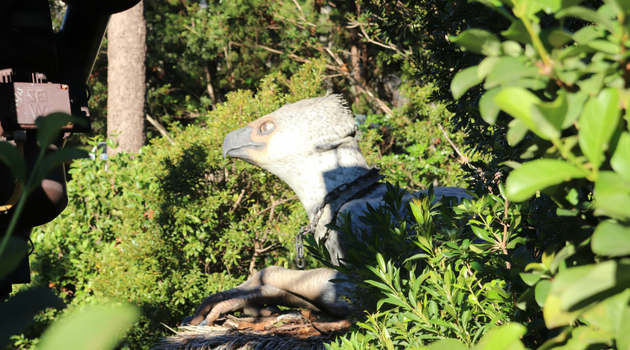 There is still part of history from the old Lost Continent at Wizarding World of Harry Potter. Do you know this ride? It is the Flight of the Hippogriff. This ride was part of Lost Continent, but transformed into a Harry Potter theme. It is now the Flight of the Hippogriff and it is a fun family ride with a hidden secret. When you start the ride, you will see the Hippogriff (on your left) before the roller coaster takes off. It is a fun surprise! I mentioned Hogwarts Castle in the evening for the castle show. This is an incredible show, right on the castle. Here is a video of this show. This picture is the end of the Christmas show…just love it! Okay…so, the view from the other direction is also pretty cool! LOL! Here is the view of the dragon breathing fire. When she breaths fire, it is spectacular! 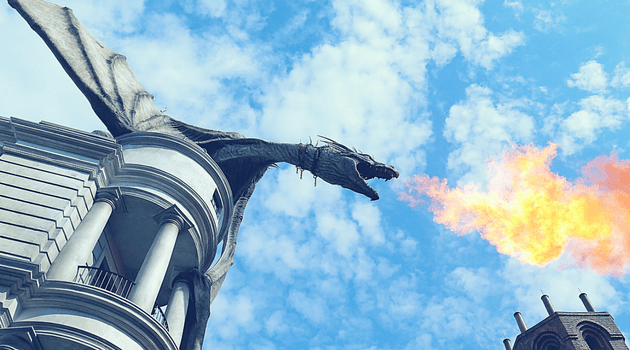 These are a few of our favorite Wizarding World of Harry Potter pics. Did they inspire you? 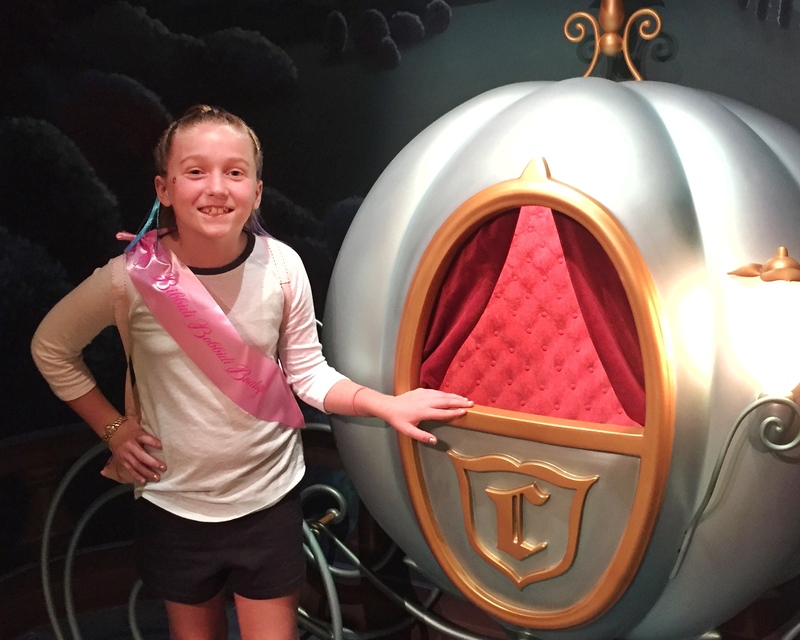 Early Admission for the Wizarding World of Harry Potter!